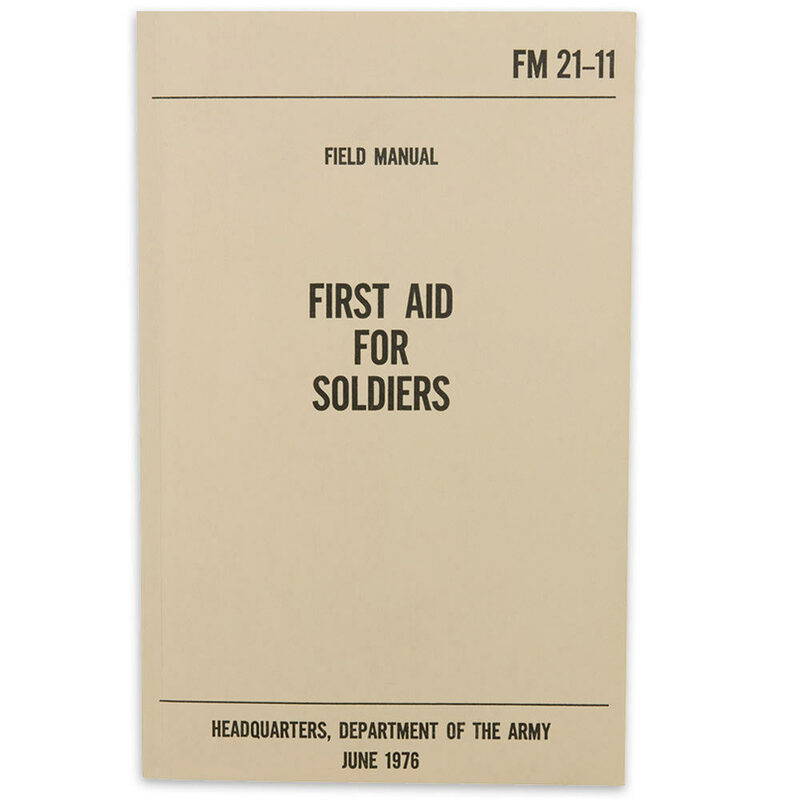 Learn combat first aid with this Army field manual "First Aid For Soldiers" printed originally in 1976 by the Department of the Army. This 158 page book covers everything from broken bones to spider bites and frost bite. It"s a must-have for campers and outdoorsmen alike. 5 1/4 in. X 8 1/2 in.